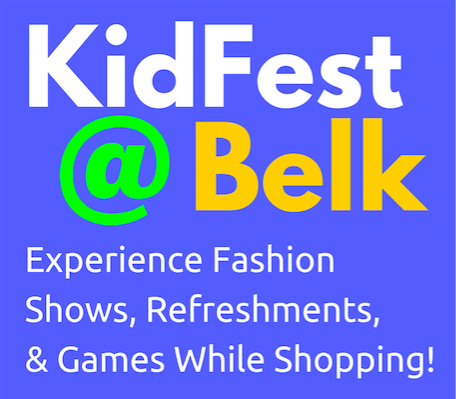 This weekend, we had a great time shopping at the Belk Department Store in Weatherford, Texas. It was such a great experience and I had a chance to shop for my little one! As a mom who works 50+ hours a week, it is such a rare treat to shop by myself (at least for a few moments). My little one and my husband stopped in front of the store to enable me to enter the store in VIP style while they caught a quick breakfast treat at Taco Cabana (three minutes away). When I entered the store, it was a great experience. When I found the children's department, I immediately checked out the stations before my little one joined our shopping and KidFest adventure! Check out our purchases and video recap from the adventure! In anticipation of the upcoming moments of fun, I quickly discovered six simply beautiful southern outfits for children (including two smocked dresses) and then received a telephone call from my husband informing me that he was on his way! I met him and then the fun with my preschooler began! She enjoyed the stations and had a great time meeting the Weatherford High School Cheerleaders who were volunteering during the event. The event was complete with snacks and make and take crafts for the little ones!